A digital twin is a virtual representation of a physical asset that enables an asset operator to derive actionable insights on both the performance and health of the asset. These insights can result in reduced costs, new revenue opportunities, and improved overall business operations. Sensors provide data on the asset’s operating conditions and key performance parameters that describe the asset’s real-world behavior. When both real-time and historical operational data are combined with physics based scientific insights from asset design, a unique digital representation of each asset emerges: the digital twin. The scope of the digital twin can encompass all subcomponents of a physical asset. For instance, the digital twin of a car can include critical parts such as the engine, water pump, alternator, brakes, fuel pump, and so on. When these parts are equipped with sensors, they can measure the thermal or mechanical loads that these parts experience when the car is in service. When the car manufacturer combines design insights with this sensor data, it can predict when a critical part in the automobile will fail and notify the car owner well in advance of the projected failure. This practice allows for critical parts to be preemptively replaced before they break or wear out. Sensor data allows the manufacturer to study the part’s performance under real-world conditions and suggest improvements to future designs. Every digital twin has a unique one-to-one correspondence with a physical asset in the field: if there were 1000 cars in the real world, they would correspond to 1000 unique digital twins. Designing a complex asset involves an elaborate process spanning several stages, starting from preliminary design all the way to detailed design, ultimately resulting in the final production-ready design. At each stage, various studies and analyses, such as fluid flow, mechanical, thermal, and control systems, are employed to harden the design elements in an effort to predict the performance of the asset in the field. When combined with testing in controlled environments, such analyses confirm the design objectives of the asset at the part level, system level, and system-of-systems level. These studies result in physics-based ‘mathematical’ models that can predict the behavior of a part in service for a given set of environmental conditions and operational parameters. Expert opinion is an important ingredient in building such models, although data and analysis-driven approaches are now being employed to limit human intervention in building physics-based models. These models, along with the insights derived from them, constitute the first building block of a digital twin. Once the asset is deployed in service, its sensors release a massive and varied amount of data that necessitate the use of data-driven techniques to obtain operational insights. Advanced techniques in data science, such as anomaly and outlier detection and Bayesian methods, are employed to obtain statistical insights from the field sensor data. Sensor enabled data and associated insights constitute the second building block of a digital twin. Figure 1 illustrates these building blocks for the case of a digital twin of a car engine. Figure 1: Building blocks for the digital twin of a car engine: (i) physics models (ii) sensor data. So why are scientific models and sensor-data-based operational insights both necessary for an accurate digital twin representation of an asset? Failure modes in complex assets are the result of non-linear transient physics and complex loading patterns, which can be challenging to capture using purely data-driven statistical models. Operational data obtained from the sensors on well-designed assets are mostly uneventful. Significant statistical errors are likely to result from a data-driven approach that attempts to arrive at correlations between failures and probable causes using a limited sample of sensor data. To reasonably predict a failure in an asset, a purely data-driven approach will require a large sample of data. Furthermore, sensors can only be placed in regions that are accessible and conducive to their proper functioning in the asset. There will be ‘gaps’ in our understanding of the asset’s performance that cannot be gleaned from the sensor data alone, which we can address with a scientific understanding of how the asset is predicted to behave in the field. Digital twins can also represent a collection of assets, or a system of systems. Using the earlier example, one can construct a digital twin of the entire car with its sub-systems of digital twins. Similarly, manufacturing processes and supply chains can have corresponding digital twins of critical assets that participate in the process or chain. We can extend predictive maintenance of an asset to assess risks of asset failures in a production line, prepare for downtimes, and assess impact of these events on overall manufacturing line efficiency. Digital twins involve ingesting large volumes of data in order to arrive at actionable insights. Visualization is equally important, so that managers and executives can fully understand the data, and drive actions based on the insights provided. Augmented Reality (AR) and Virtual Reality (VR) offer immersive experiences to visualize such insights. A stakeholder can interact with a wearable or a hand-held AR/VR device to consume insights and queries in a context-aware manner. Using the foregoing example, the digital twin experience of a car will be different for an operations manager in the auto manufacturing plant compared to the experience of a service technician in a dealership. 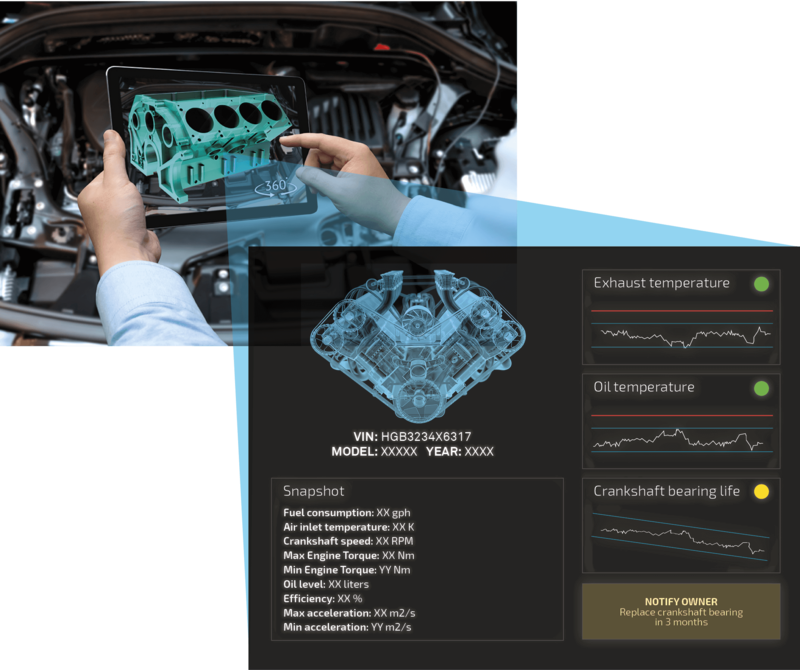 Figure 2 illustrates how an engine technician at a dealership can experience the digital twin of a car engine using AR. While AR and VR constitute the avenue of data ingestion and assimilation, they are not essential building blocks of the digital twin, but rather convenient technologies for obtaining a holistic, immersive understanding of the asset by leveraging the digital twin paradigm. 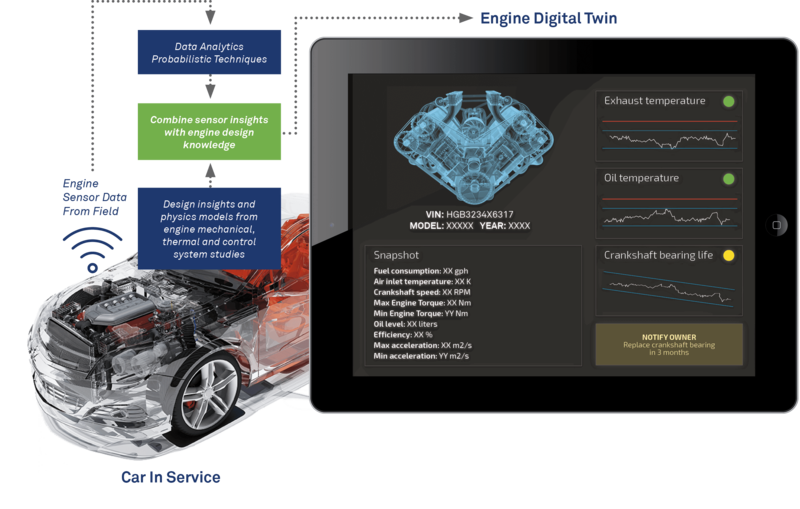 Figure 2: A custom AR experience for an engine technician created to ingest insights from the digital twin of a car engine. Aside from the asset focused benefits of digital twins, companies investing in digital twins will see several long-term benefits that will improve their revenues and overall growth. Materials-based industries such as mining, oil and gas, energy, and utilities are asset-intensive, and vitally depend on the successful operation and management of these assets. Industry stakeholders demand lifetime value from them, especially when they are capital-intensive. These industries can employ digital twins to evaluate and deploy new operating regimes that were not necessarily a part of the original value proposition of their assets, thereby providing new services to customers over the asset’s lifetime. For instance, the digital twin of a thoughtfully-designed car engine with electronic control mechanisms can be probed to evaluate if a slight boost to the engine’s performance would better serve the driver’s needs. If the evaluation is successful, an over-the-air update to the engine control software can trigger the new operational envelope for the engine. This service could potentially be monetized by the auto manufacturer. Digital twins can generate a veritable hotbed of activity for igniting innovation, as well as provide opportunities for improved productivity and increased enterprise value. They provide an organization’s ecosystem of teams with data necessary to build next-generation products or manufacturing processes. Using the foregoing example of a car engine, one can study ‘what if’ scenarios by tweaking the digital twin of the engine and assessing how such tweaks impact the engine’s performance. Similarly, digital twins corresponding to system of systems, such as the entire car, can be comprised of multiple assets and technologies from different vendors. A car’s digital twin can be made available to the ecosystem of partners, who can study system performance, innovate, and improve the design and system-level performance of their products. Digital twins promote the use of data-driven decisions for product and system design. The lifeblood of an asset’s digital twin is the enormous amount of sensor derived data on real-world operating performance. An auto manufacturer can leverage a car’s digital twin to make business decisions based on concrete data such as real-world performance, historical performance, and scientific insights from design for the class of cars. The manufacturer can also evaluate future improvements to product design, analyze how an existing product can serve new market needs and evaluate whether a product can compete in a new market against incumbent competition. 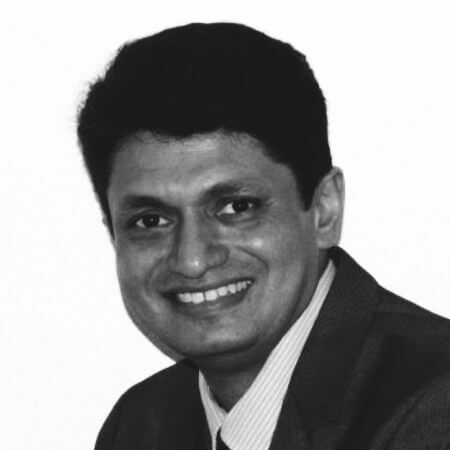 The digital twin paradigm offers value propositions that are unique to each industry and helps realize the true essence of physical-digital convergence. It is poised to become an inseparable part of any digital transformation journey. As we continue to see advances in sensor technology, data science techniques, and physics-based models, more sophisticated digital twins will emerge. They will be able to provide companies with deeper insights on the monitored assets or processes, and, with feedback control, allow companies to modify and improve the performance of assets or processes in real time.